Oil has been used in traditional beauty routines for thousands of years, but Argan Oil vs Coconut Oil is the battle of 2015. These oils can promote vibrancy when used in a variety of different ways – both topically and orally. But not all oils are created equal, despite what you may hear. Coconut oil has been trending for a couple of years now. 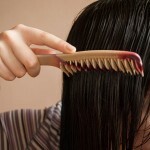 Fans tout that it can cure everything from bad breath to excess sweating to dry, damaged hair. 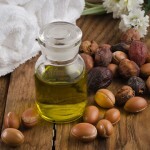 Argan oil, a top competitor within the natural beauty world, has also been known to aid brittle tresses and is used by many professional stylists. With so much conflicting information out there, how are you supposed to know which of these two oils is better for hair maintenance? Well, it really depends on what your intended hair goal is. But don’t take my word for it. Compare the facts to find out for yourself. 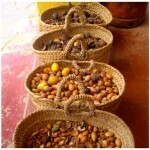 Argan oil comes from the fruit of the argan tree, while coconut oil comes from coconuts. Both contain essential fatty acids that provide hair with nourishment. They are also both chemical-free, which makes them much better alternatives to traditional shampoos and conditioning treatments. Coconut oil is full of antibacterial and antifungal properties. When applied to the scalp, it can be great for treating dandruff or rashes. It helps to clear away dead skin, which stimulates follicle growth- leading to thicker, fuller locks. Argan oil can boast this same claim, just not with as much conviction as coconut oil. Although it’s also antibacterial, coconut oil is a more effective treatment for skin irritation. However, argan oil has coconut oil beat when it come to antioxidant properties. One of the antioxidant most present in argan oil is Vitamin E. When applied to the scalp, the vitamins in this oil speed up cell regeneration, which can also help hair to grow faster. Additionally, the antioxidants in argan oil fight free radicals, which prevent hair from being damaged by UV rays and airborne pollutants. 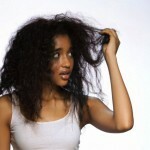 This means that hair keeps its healthy luster despite the uncontrollable elements. 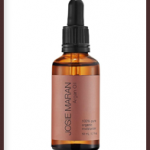 Argan oil also seals hair’s cuticles, which minimizes the look of split ends and frizziness. It’s great for making tired, dried out hair look shiny and full of life. Coconut oil can also be used as a frizz treatment, due to its fatty-acid profile. Just a tiny bit is enough to smooth down your ends. It can also be a nice leave-in deep conditioner, but be warned: Coconut oil is very difficult to wash out, even after several shampoos. While argan oil keeps hair looking glossy, coconut oil can just leave it greasy. Overall, coconut oil is probably best kept as a once-in-a-while treatment for scalp health when you have the time for a more intensive treatment. Argan oil, on the other hand, should be used much more regularly. Just like coconut oil, don’t forget that a little goes a long way. Regardless, argan oil will give you the day-to-day protection that’s vital for keeping your hair looking it’s best. I recommend keeping coconut oil for your scalp, but use argan oil for the strands themselves. Have you tried either of these oils for hair health or growth? What were your results?